Australian flow-battery startup Redflow is dialing back its pursuit of the residential storage market. 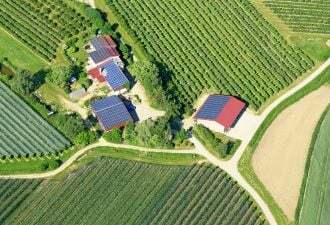 The company will now shift its focus from residential customers to telecommunications backup applications, as well as commercial, industrial, off-grid and weak-grid segments. A strategic review released today concluded that success with early adopters in the residential market did not translate into a viable long-term sales strategy. This marks a setback for the theory that flow batteries can beat lithium-ion for home use. Redflow previously argued that its 5-kilowatt, 10-kilowatt-hour ZCell outperforms lithium-ion batteries on a per-kilowatt-hour basis on cost, fire safety, operating life and speed of charge. On upfront cost, though, lithium-ion is a clear winner. "The Strategic Review notes that Redflow batteries are more expensive than commercially mature and volume-produced lithium-based batteries," CEO Simon Hackett wrote in the report Monday. The company will "continue ZCell sales to satisfy residential sector demand while recognizing that competition, cost sensitivity and commoditization may limit this segment’s ultimate growth potential for Redflow." Some early adopters have been willing to pay a premium for the longer-lasting zinc-bromine flow systems, but Hackett acknowledged that these sales don't necessarily translate into a sustainable market. Most residential battery customers tend to prioritize low upfront price, which favors the highly commoditized lithium-ion systems backed by giga-scale production facilities. 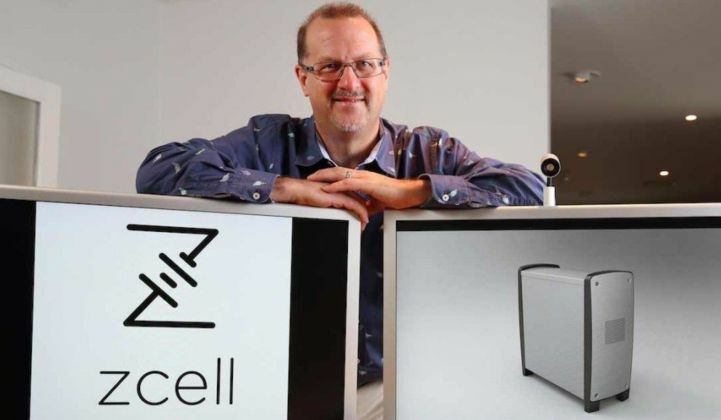 The company will continue to offer the residential ZCell battery in Oceania, Southeast Asia and Southern Africa while cutting back on activities in the U.S. and Europe. This shift in strategy caps a tumultuous period for the company. After rolling out the flagship home battery product last June, the company halted shipments in April to deal with technical problems related to impurities in the electrolyte. Hackett detailed other issues with deployed batteries, including mechanical issues, improper cycling and "unexpected stress." Redflow resumed sales earlier this month after additional laboratory testing, but the supply chain problems have changed the company's perspective. The company will relocate manufacturing from Juarez, Mexico to a location in Southeast Asia to shorten the distance between production and customer. The plan is to beat incumbent lead-acid batteries for backing up some of Asia's 2.8 million telecommunications towers. The telcos need these towers up and running at all times, but they're often tucked away in remote locations with unsteady grids. Lead-acid batteries suffer in these conditions. The technology's life expectancy degrades under exposure to intense heat and frequent, deep cycling. Zinc-bromine flow batteries are designed to perform under those circumstances and can cost-effectively handle long duration uses. Arizona-based Fluidic has achieved considerable scale selling its zinc-air cathode batteries to this market in and around Indonesia. In remote settings, it is possible to sell based on price rather than government incentives, with little or no competition from other vendors. Flow batteries may offer benefits over lithium-ion batteries. But they can't compete on scale. "Lithium-ion residential batteries...have a couple years of performance data in some cases, whereas residential flow hasn't been deployed more than a handful of times, in an already small market," said Brett Simon, a behind-the-meter storage analyst at GTM Research. "Flow batteries in general haven't seen a lot of field usage to date, and most of those have been at utility-scale." Flow batteries are better for large capacity uses. They have a set component cost for the pumps and tanks, but adding energy capacity costs relatively little; the best payback comes from longer-duration configurations. Residential applications constrain how big the system can be. "Redflow is confident that the operating path described here is tenable, appropriate, and provides the best prospects of commercial success for the company," wrote Hackett. *This story was corrected to clarify that Redflow is not ending its pursuit of residential storage, but is placing greater focus on the telecom sector.